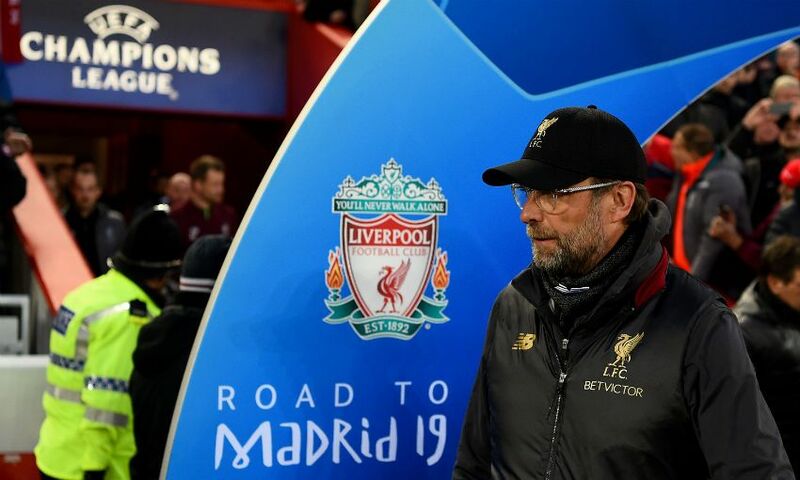 Jürgen Klopp was left satisfied by Liverpool’s ‘deserved’ 2-0 win over FC Porto and pledged that his side will be ready to fight for their place in the Champions League semi-finals at Estadio do Dragao next week. 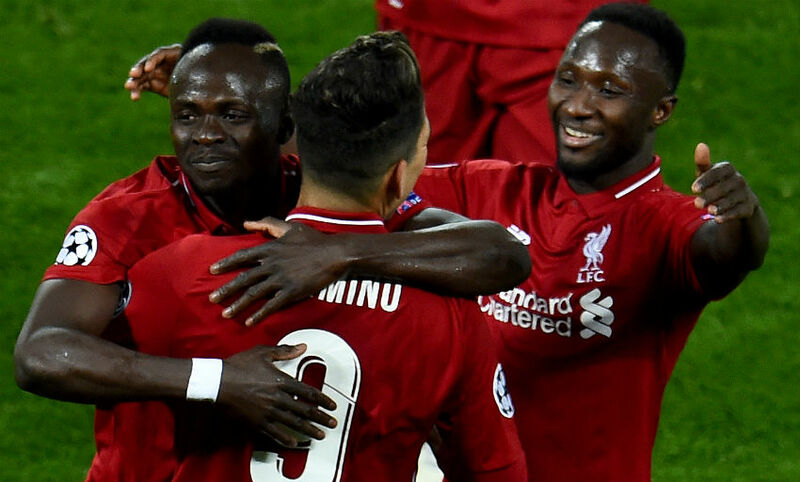 The Reds will take a healthy lead into their last-eight second leg in Portugal thanks to goals from Naby Keita and Roberto Firmino at Anfield on Tuesday. 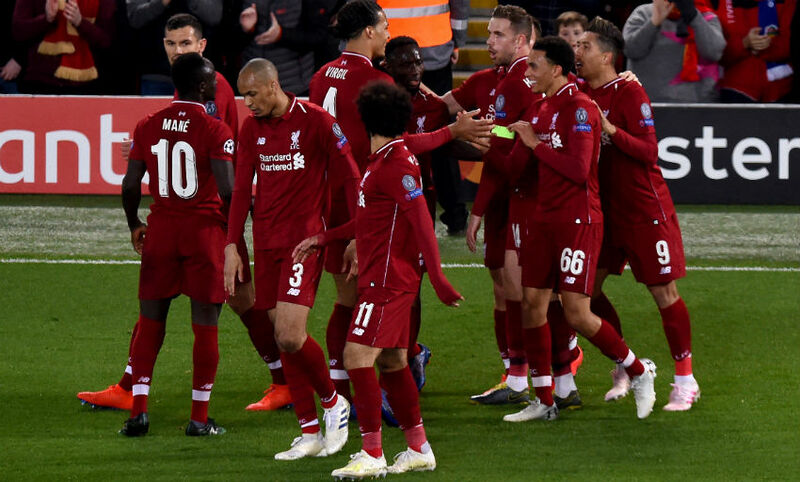 Keita’s second strike in as many games put Klopp’s team ahead early on in the quarter-final first leg, before Firmino applied the finishing touch to an excellent team move midway through the first half. It was a good game, a good game, a controlled game in a lot of moments. We deserved the win, 100 per cent, we scored two wonderful goals and we were - in a lot of situations - really dangerous, on the right side especially with Mo, Hendo and Trent, the crosses and the passes. Overall, a really good performance. They had a bit too many set-pieces because they are really good in that and you don’t want to give them away, but that’s how it is - they go for it as well and we defended them well. The problem was a little bit the second half, we gave one or two counter-attacks away and then we had to control it a bit more. We lost the direction in the play a bit, we didn’t play that clear anymore. We were still around in the box and all that stuff, that was good, but then for defending the counter-attacks we had to work really hard and it costs you then a little bit, you lose a bit of rhythm. That’s what happened. I would have loved it if Sadio’s goal would have counted because it was a brilliant situation, a brilliant situation. All good, 2-0, the game is still on, we have to go there, we have to fight. Porto will try everything to strike back - and that will be a really tough game again, but that’s how it should be in the quarter-finals. We will be ready. It would be cool if I could ask a player, ‘Please, play these kind of passes’ and we score immediately with that. 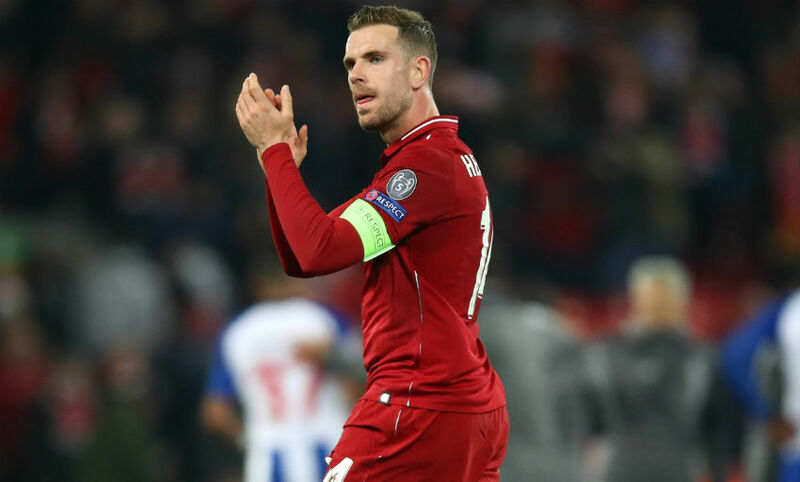 Hendo is a brilliant player and I am really happy that he can show that, that he can show it again. He obviously likes the position and so it was my fault that for one-and-a-half years he was in position No.6… sorry for that! But we needed him there. It was a really good performance. The second goal was brilliant and he had the cross for Sadio’s goal as well, and if it was an inch offside it was still a brilliant cross. Brilliant play and I liked it. There were a lot of good performances tonight, it was really mature again against a difficult side, I have to say, because they were always ready for the counter-attack and it made it quite uncomfortable. We’ve played the first game, we know more about each other, so now we go there and play again. I think Naby was a couple of times a little bit unlucky with the first one or two situations and then he had to find his way back in the game. Today from the start he was immediately there. We hoped it would be like this because in the last game he got better and better and better minute by minute so we wanted to build on that. He looked really, really good tonight - all of them, really hard-working and good football-playing with a lot of good passes. [Naby’s] goal was brilliant, I loved it; it was deflected, yes, but the situation how we did it, it was the half-space we wanted to use. The boys did that really well, so it was a really good performance. Absolutely. How it is, it’s all good, we had to defend a few balls too much in the last line. They did it really well, it was really difficult and you saw it that they had a physically strong striker. I heard outside that he was a little bit ill, so if he is not ill then it will be a tough one in Porto again. But it’s like finding the 100 per cent mixture for controlling the game and being then constantly a threat, if you want. We were close to that tonight, we had not as many chances as we’d wish, probably, in the second half, but controlling happens in different ways, the best way with the ball. When we lost it we had to do a lot of work to get it back because we were then in the last line and that’s not too cool. But we had fantastic counter-attacks, the protection was brilliant in the second half, how we did it with their formation with one striker or one-and-a-half strikers, we did that really well. It was against Southampton in the first half a bit our problem, but tonight we did that really well and I liked it, I liked a lot of parts of the game. So, all good - 2-0 is a really, really, really good result. I would have bought it before the game and I take it now. It’s good. We didn’t know before the game they would do it like this, Maxi and Corona together on that side. I’m not sure they’ve done it before, we didn’t see it before, but it’s not a massive problem. We’ve played a lot of times now against teams who defend with five in the back. With five in the back and four in midfield there are still spaces and in behind for sure, and we caused them the most problems with our balls in behind. Even when we couldn’t reach the first ball, for the second ball we had a really good formation so that for us was important. It opened the game a bit for us. Of course, their formation surprised us, but how can you react immediately? The boys saw it and we saw it immediately, but it’s then difficult to deliver the message on the pitch. We used it on that side not in the same way as on the other side because Millie played today after a long, long time at left-back, did the job fantastic but is then of course a bit different. We used him a bit more in protective situations and on the other hand side were were on fire, I liked it a lot. It was just a good game, all good. No, I don’t think like this. We had really good situations for the 3-0. For example, we had fantastic counter-attacks when they were in the last situation: one-twos over the whole pitch, that was really good. But in Porto we finished these situations off, tonight not. But we are good in counter-attacks, we know that, but we will now see. These two legs are like a normal game - the first half is played and now we have a bit longer than 15 minutes to prepare for the next half, but there is still a lot to do. We know that and the atmosphere in Porto will be a tough one for us, but this is the result we wanted before the game - now we have it and now we have to work with it, that’s all.